Richard Armstrong has served as director of the Solomon R. Guggenheim Museum and Foundation since November 2008. As head of the Guggenheim’s executive staff, he focuses on the pivotal role of the New York museum and its collection while also providing leadership and management for the other institutions in the global Guggenheim network and for the foundation’s international programs. Armstrong works with senior staff to maximize all aspects of the foundation’s operations: permanent collections, exhibition programs, loans, acquisitions, documentation, scholarship, and conservation. 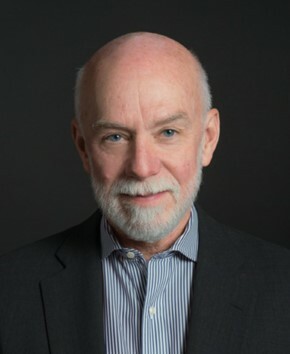 Prior to his appointment at the Guggenheim, Armstrong served at Carnegie Museum of Art, Pittsburgh, as curator of contemporary art (beginning in 1992), chief curator (1995), and Henry J. Heinz II Director (1996–2008). During his twelve years of leadership, the museum added significantly to its collection, acquiring multiple works from the Carnegie International exhibitions, accessioned the vast photographic archive of Charles “Teenie” Harris (one of the most important visual records of African American life in the 20th century), and acquired through purchase and gift dozens of landmark works of 19th-, 20th-, and 21st-century art (such as Rachel Whiteread’s monumental Untitled (Domestic), the first joint acquisition in the Carnegie’s history). Under Armstrong’s guidance, the Carnegie also built up its curatorial staff, raised major support for its endowment, renovated its Heinz Galleries and Scaife Galleries, and expanded the Heinz Architectural Center. From 1981 to 1992, Armstrong was a curator at the Whitney Museum of American Art, where he organized four Whitney Biennials, as well as important exhibitions on subjects such as the work of Richard Artschwager and The New Sculpture 1965–75. In 1980, he served on the Artists Committee to organize the Museum of Contemporary Art (MOCA), Los Angeles. He began his curatorial career at the La Jolla Museum of Contemporary Art in California. Armstrong serves in an advisory capacity on a number of foundation boards, including the Victor Pinchuk Foundation, Kiev, Ukraine; the Artistic Council, Fondation Beyeler, Basel; the Al Held Foundation, New York; the Judd Foundation; and as Director, Fine Family Foundation, Pittsburgh. Armstrong is also a member of the Association of Art Museum Directors (AAMD).